An increasing global population and the resulting demand for commodities has made resource rich countries in Africa, South America and Asia hot prospects for industrial expansion . Extractive industries such as oil and gas, and mining, are growing at an increasing pace, and this industry boom is driving an unprecedented expansion of infrastructure (e.g. roads and railways) into sparsely populated regions . These developments are happening at a rapid pace and on a large scale, which is already impacting on land use in areas of ecological and socio-economic importance, such as large forested areas . 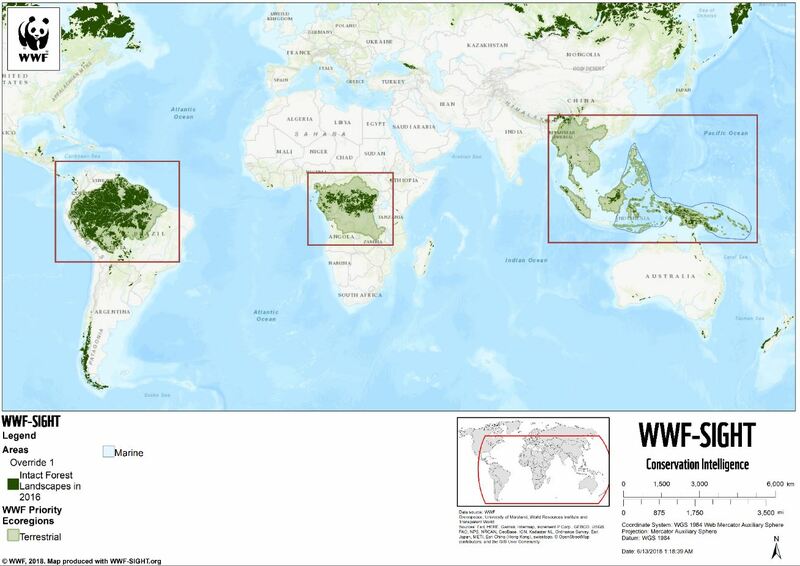 An Intact Forest Landscape (IFL) is a large patch of forest, including naturally treeless ecosystems, that has no remotely-sensed signs of human activity or habitat fragmentation, and are large enough to maintain biodiversity, such as, wide-ranging species . The tropical IFLs assessed within this report comprise around 5.2 million Km2 of forest in 2016. Intact forests are declining fast, for example 7.2% were lost in 13 years (2000 – 2013) which is twice the rate of overall global deforestation. Intact forests absorb nearly 25% of carbon dioxide emissions from human sources, greatly slowing the pace of climate change . 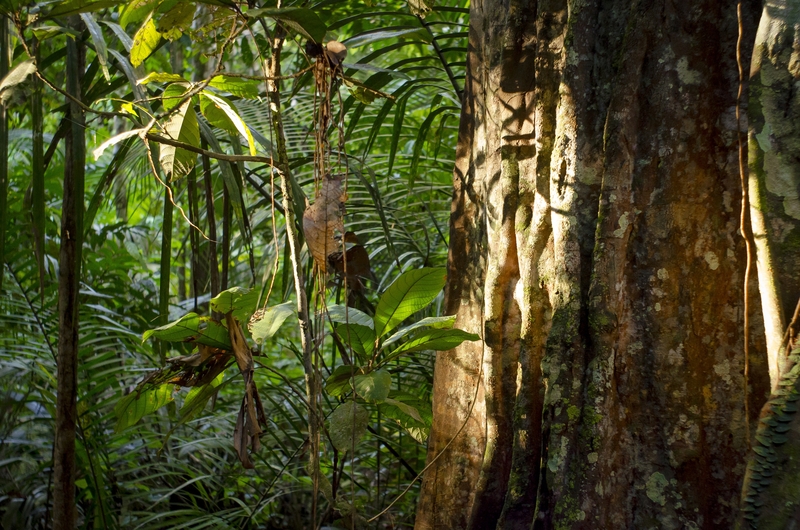 Many indigenous groups live within intact forests and rely on forest resources for their livelihoods and culture . These forests generate significantly more rain than degraded areas, providing water and reducing drought. Forest loss and degradation compromise the supply of medically beneficial species that millions of people rely on, whilst forest degradation brings people into closer contact with infectious diseases . This study explores the potential threat posed by extractive development to IFLs in the three major tropical forest regions: 1) Amazon, 2) Central Africa, and 3) Asia-Pacific. The analysis uses one of the most recent global spatial datasets on extractive concessions (mining, oil and gas accessed in 2018) and assessed against the extent of IFL 2016 data. The goal of this study is to build knowledge and highlight the extent and potential threat of future extractive development on IFL. 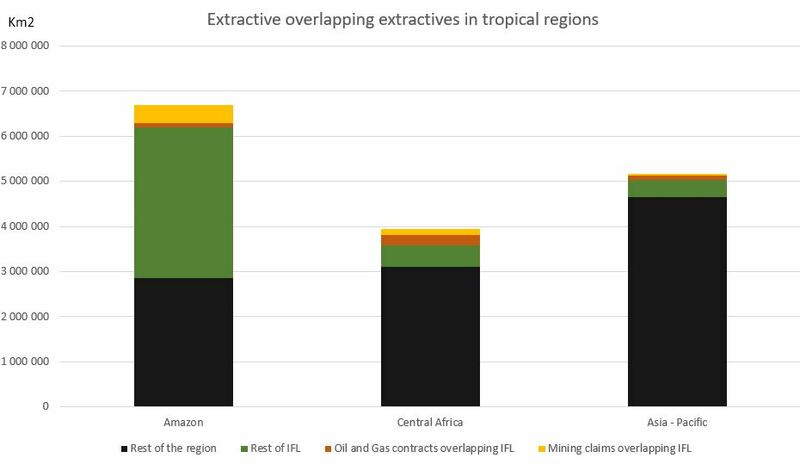 Our results show that the extractive sector poses a substantial threat to tropical IFLs worldwide, with oil and gas contracts overlapping around 8% (408,000 Km2) of these tropical IFLs, and a larger overlap of 11% (590,000 Km2) for mining claims within the area assessed. Collectively this is around 975,000 Km2 or 19% of tropical IFLs in the area assessed, which have an overlap with extractives once overlapping oil and gas contracts and mining claims are deleted. These numbers need to be considered against data limitations, which are discussed below. Between 2000 and 2013, extractive industries were a major cause of IFL loss especially in boreal regions (not assessed in this study), but also in Latin America, where they were the third most important driver . Our 2018 analysis using the 2016 IFL dataset shows that there is a significant potential threat of further IFL loss due to the extractive sector, and this appears to be true across all three major tropical regions. For recommendations and more information, download the report.